AIDS is more than a syndrome, it is the wicked witch, the evil queen, the bad apple, the villain that refuses to die. 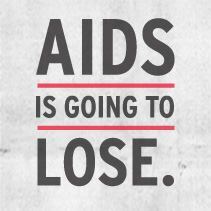 Let’s work towards an AIDS free generation by 2015. Join the conversation on Twitter #AIDSLifeCycle or #FightHIV.